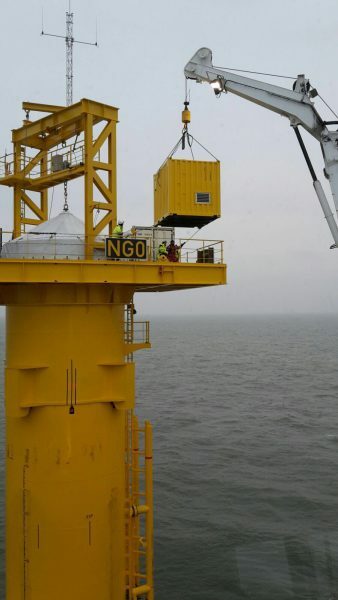 Rhenus Offshore Logistics has replaced two containers on a cable access platform at the Nordergründe wind park. The job involved fully coordinating and completing the work and included solving the technical problem and making available the suitable cargo fastening equipment. Photo: Rhenus Offshore Logistics replaces containers at cable access platform in the North Sea. Picture source: Vroon B.V.